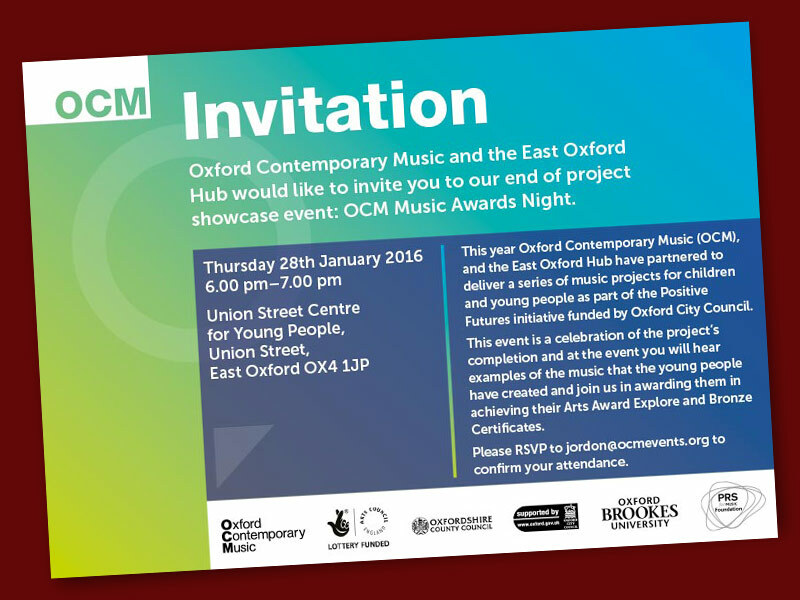 To mark the completion of a series of music projects run as part of the Positive Futures initiative, funded by Oxford City Council, Oxford Contemporary Music (OCM) organised a showcase and awards night. They asked me to create a bold and striking invitation to the event. My design not only carries a substantial amount of information in a small space, but has a stylish and contemporary look that stands out to mark a celebratory occasion.